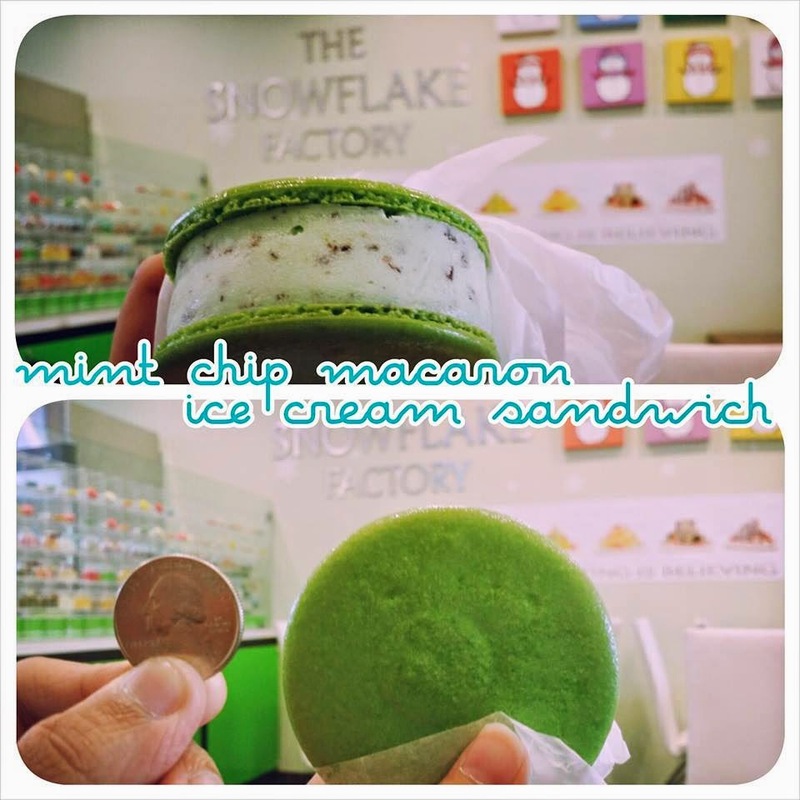 NEW ENORMOUS MACARON ICE CREAM SANDWICHES @ THE SNOWFLAKE FACTORY - GARDEN GROVE - EAT WITH HOP! YOU CAN EVEN ORDER DOUBLE ICE CREAM FLAVORS FOR YOUR MACARON ICE CREAM SANDWICHES! THE FLAVORS PICTURED BELOW ARE HALF THAI TEA AND MINT CHIP ICE CREAM. 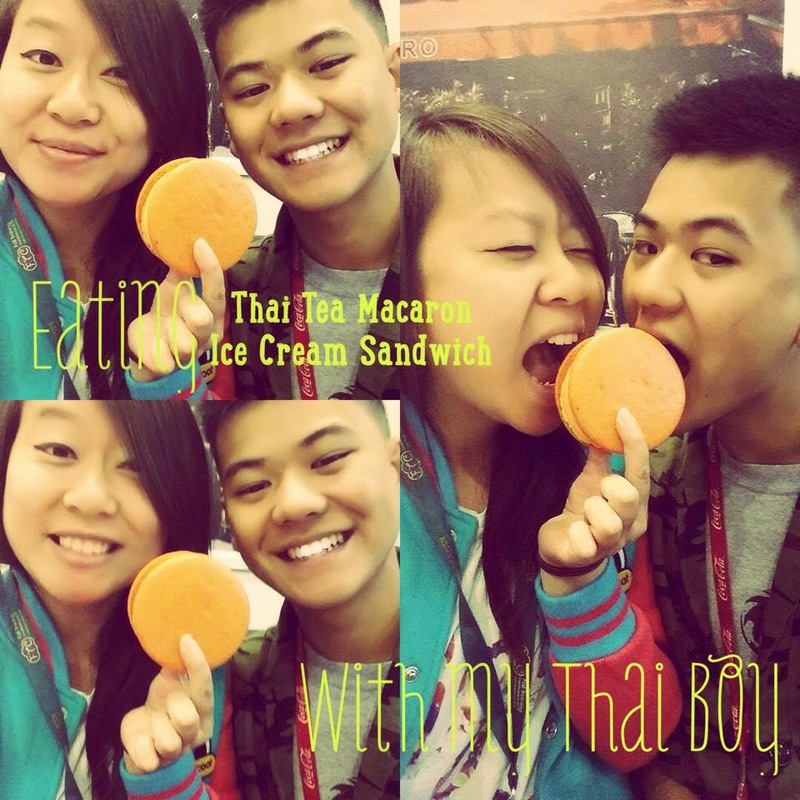 YUMMMMMMMY THAI TEA MACARON ICE CREAM SANDWICH! 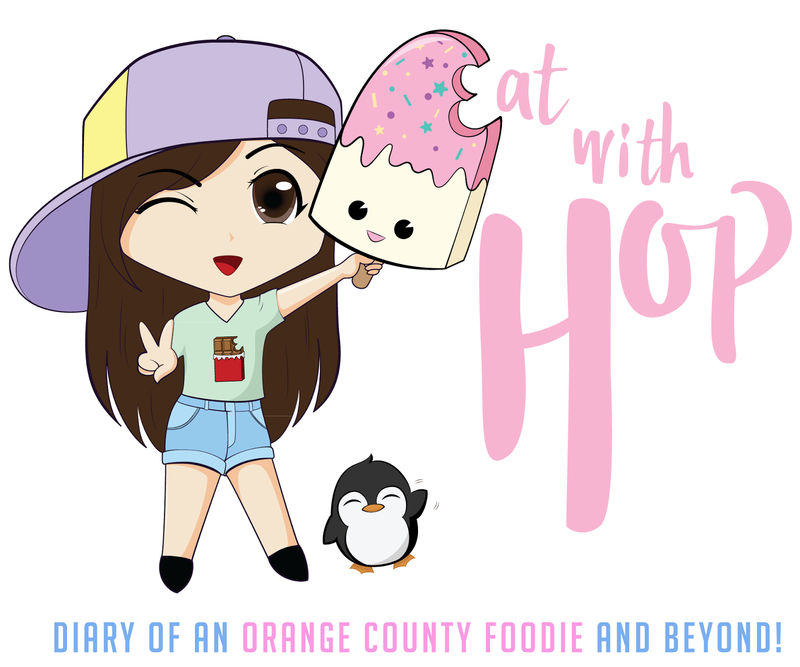 I tried the MINT CHIP & THAI TEA and because these are pre-frozen, I was able to actually eat it like a sandwich! OMG!! Now I don't have to drive all the way down to Fusion Tea Bar in Fountain Valley or make a trip to Milk in Los Angeles any longer because the Snowflake Factory is super closer to my house. So how did these compare to other dessert places!? The Thai Tea is much stronger in flavor and better than Fusion Tea Bar. I think it is comparable to Milk in size, and texture. However, I think (if I remember correctly...) the Thai Tea Ice Cream sold at Milk is a bit stronger in flavor. The Mint Chip looks pretty normal and plain, but don't judge a book by its cover! It tastes very yummy and is easy to bite into. The mint flavor itself it not too strong (so it doesn't taste like toothpaste thank goodness...). The ice cream itself reminds me of Thrifty's Mint Chip ice cream. Overall, I think the Macaron Ice Cream sandwiches here are delicious and on par to Milk in Los Angeles. It tastes better than Fusion Tea Bar in my opinion. However, when it comes to aesthetics, Fusion Tea Bar and Milk definitely win in appearance. The macarons at Fusion Tea Bar are beautifully decorated as well as the ones from Milk. 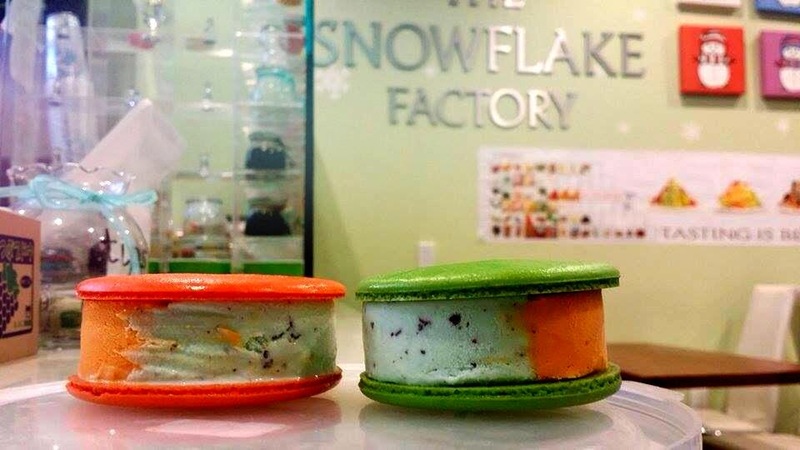 But, if you care more about taste than looks, go to Snowflake Factory (Garden Grove) or Milk (Los Angeles). 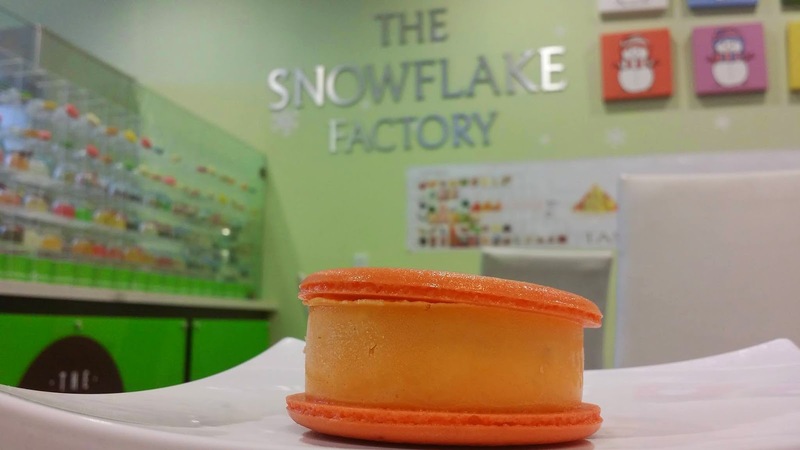 I personally think the ones sold at Milk fall apart really easily and get messy though (every experience...) so the softness and texture of the ones sold at Snowflake Factory is basically very similar to Fusion Tea Bar because from these places, the macaron ice cream sandwiches do not break easily and are easy to bite into and do not get messy. Thank you for the information, I will check out the website soon!